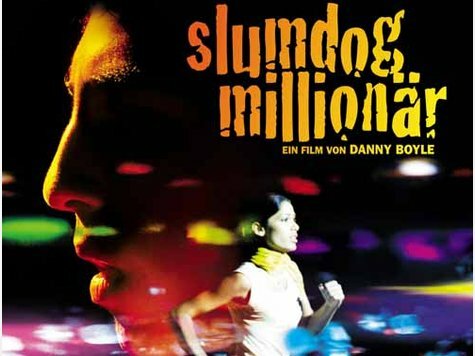 “Slumdog Millionaire” so finally today I watched this movie. Though, the storyline is familiar, all actors have done their job excellently. Hats off to Mr. A. R. Rahman for excellent music composition once again. But apart from this,I was still wondering why is this movie being discussed so much? I mean I personally did not find anything really outstanding or different in this movie. No I do not mean that movie is not good, yes its good but what’s so different in this movie that made its way to Oscars. I mean, personally, there are so many nice movies which are different & unique but unfortunately those movies could impress only local crowds in respective countries. In fact this is what Mr. Madhur Bhandarkar (India) has shown in his “Traffic Signal” but I don’t think that movie was appreciated as much as this one. In the whole movie Mumbai slum areas and dirty areas of Mumbai has been shown nothing else. Not even a single snapshot of Marine drive or south Mumbai has been shown. Come on Mr. Danny Boyle every coin has 2 sides then why could not you show the other side of the coin & yes,You could have done that. Atleast when the small guy says “We’ll leave in big house on Harbour road…” Why can’t you show the Harbour road of Mumbai? Let world know the other side of the coin. Let me describe you one more incident in the movie. Definitely, as expected Music by A.R. Rahman is amazing & in fact all the actors in the movie done very well. Feeling really proud & nice that Indians have set a new benchmark but I’m really upset with the way Mumbai has been portrayed in this movie. I totally agree with Mr. Priyadarshan’s comments on this movie.Click Here to see what Mr. Priyadarshan said In fact I’m not sure but few days back I heard Mr. Bachchan also wrote something on his blog, that was absolutely correct but I guess for some reason Mr. Bachchan had to clarify his statements, that was very unfortunate. Stupid Question:-Is ! the “Paneer butter Masala” dish good?? Answer:-No, its terrible and made of adulterated cement. We occassionaly also spit in it. Answer:- No. I was doing research on whether the Zulu tribes in Africa marry or not.You thought I was sleeping…. you dumb witted moron. Wish You all a very Happy Valentines day!!! Anyways I’m not here to support here any of the either party so leaving behind these some controversial issues let’s get back to the Valentine’s day!!! So just few days back I was searching the logic behind celebrating about valentines day. I found that this day is celebrated after saint Valentine & people express their love to closed ones by wishing them, passing greetings & chocolates. Also all of you must be knowing that this day is not only for couples but it can be for friends as well. I personally believe in love & relationships. I respect those who are in a relation but provided only if its a genuine relationship. When I said “I respect those who are in a relation…” I do not only mean couples but friends also. And of course I admire those who are in serious committments. Its really a big thing. Anyways, so all my readers a very very Happy Valentine’s day again!!! Her Diary Vs. His Diary!!! Day night, I thought he was acting weird. We had made plans to meet at a cafe to have some coffee. I was shopping with my friends all day long, so I thought he was upset at the fact that I was a bit late, but he made no comment. Conversation wasn’t flowing so I suggested that we go somewhere quiet so we could talk, he agreed but he kept quiet and absent. I asked him what was wrong – he said, “Nothing.” I asked him if it was my fault that he was upset. He said it had nothing to do with me and not to worry. On the way home I told him that I loved him, he simply smiled and kept driving. I can’t explain his behavior; I don’t know why he didn’t say, “I love u,too.” When we got home I felt as if I had lost him, as if he wanted nothing to do with me anymore. He just sat there and watched TV; he seemed distant and absent.Finally I decided to go to bed. About 10 minutes later he came to bed. I decided that I could not take it anymore, so I decided to confront him with the situation but he had fallen asleep.I started crying and cried until I too fell asleep. I don’t know what to do. I’m almost sure that his thoughts are with someone else. My life is a disaster. Hidden Positives behind the negatives, how? I know this sounds very optimistic but yes it is very much possible. Though We know life is not always smooth & everyone has ups & downs in the life but for sure after every sad day, there comes a glad day. So in fact this is good exercise to use when you want to know what is really going on behind the scene. I will put my views how we can take things positively, I’ll also mention some experiences. There is something always positive behind the negative experiences, you just need to find it. I know it is very difficult to imagine & implement this kind of attitude, “you will say advising is very easy but actual implementation is very difficult.” Ok agreed but as I said earlier this was the worst case I discussed just before & even if it happens, yes it is difficult, very difficult to act positively under such circumstance but definitely its not impossible. I will not say always be aggressive but I will say for sometime just sit back, stay calm & try to find out what is exactly going wrong, is it really against you or just something which is passing you message & helping you to move on in your life. Lets talk about the current situation. Everybody is aware how hard economic recession has hit!!! Even financial experts are unable to predict how critical it can go further. Bachelors are worried about their future, while married couples are worried about their families, expenses or whatever. First thing I would like to mention here is that I’m not an expert to suggest any solution especially when experts are backing off themselves from giving any concrete advice. But only thing I would like to mention here is that its time to think practically, instead of getting depressed start studying how you can handle this situation. Again, I do understand its very easy to suggest but seriously try this you will find so many motivating things behind recession. If you can survive this situation, you might have better life in future. Start keeping track of your expenses, there is nothing you should be feeling odd about this. As you know every big organisation keeps track of its expense & maintains a balance sheet then why cant you track your own expenses. No I’m not saying stop enjoying, spend money wherever it is really required & keep track of it. Though its a tough time, stay up to the mark & lets consider that some hidden power teaching you a lesson of how to save money & live a optimal life. Its just a bad patch in life, it will surely move on.